Like most equipment, concrete mixers can pose a danger to you when used improperly. The following tips can help you stay safe while using a rented concrete mixer. Your local, ARA-affiliated rental store professional can provide you complete instructions on using your rented concrete mixer. Read all manufacturer warnings and instructions prior to using your rented concrete mixer. Follow safe lifting practices when loading and unloading rented concrete mixer. Properly secure rented concrete mixer when you transport it. Follow safe practices when hooking up and towing a rented concrete mixer. Wear appropriate personal protective equipment (PPE), such as safety glasses, dusk mask, gloves and hearing protection. Never wear loose clothing or jewelry that can catch on the rented concrete mixer during use. Connect rented, electric-powered concrete mixers to grounded outlets only. Disconnect rented, electric concrete mixers before moving or cleaning them. Only operate rented, gas-powered concrete mixers in a well-ventilated area. Keep onlookers at an appropriate distance from the worksite. Rent the appropriate concrete mixer from your local ARA-affiliated rental store. See Rent Any Size of Concrete Mixer and Differences Between Concrete Mixer Rentals for more information. Check and, if needed, service fluid levels in rented concrete mixers before use. 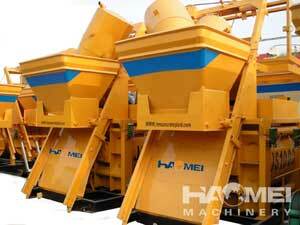 Follow manufacturer’s recommendations for starting and shutting off the rented concrete mixer. 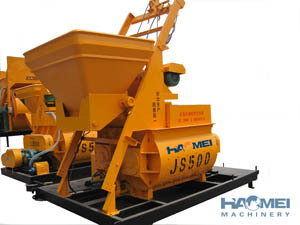 Situate the rented concrete mixer on level ground for use. Make sure to blend concrete mixture thoroughly before dumping it. Consider ways to use any extra concrete you may have from your project. For example, you could use leftover concrete to create patio blocks. Be sure to build the forms that you will need from scrap lumber before you mix the concrete. Be sure to clean the drum of the rented concrete mixer before returning it to avoid extra cleaning charges. Contact your local, ARA-affiliated, rental store for information on available rental products and services to meet your concrete mixer needs. To locate the rental store nearest you, use the Rental Store Quick Locator above.